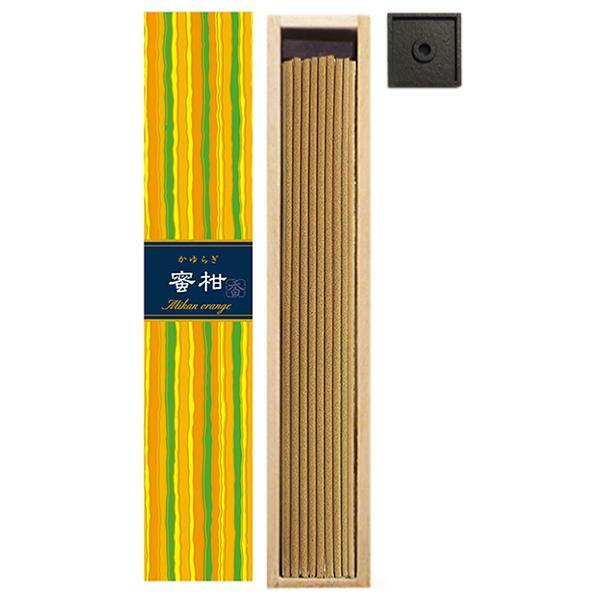 The delicious fragrance of Mikan oranges, bathed in radiant sunshine - from the Kayuragi* family of incense from Nippon Kodo. Mikan oranges which originate from China and grown as a commercial crop in Japan, are better known in English as Satsumas. The loose skins of the Mikan/Satsuma are dotted with large and prominent oil glands; from which the main ingredient of this incense is found. My favourite incense. Great service.